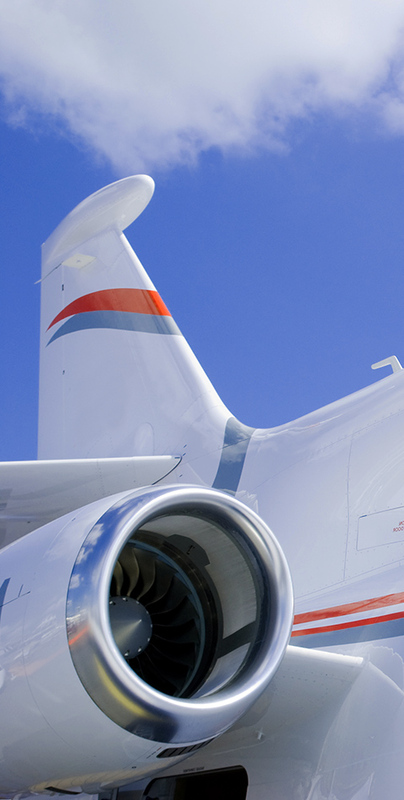 Handling and certifying external liveries change on business jets and large Aircraft. 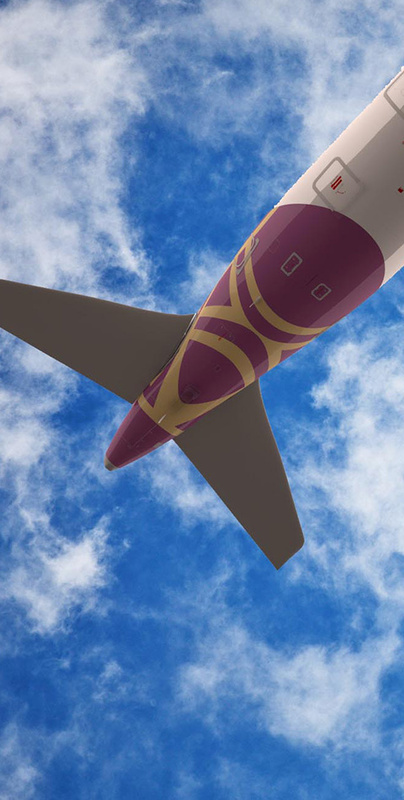 Erosion, damages, image refresh need, special events, operator change… There are many reasons to change the external livery of an Aircraft all along its life cycle. 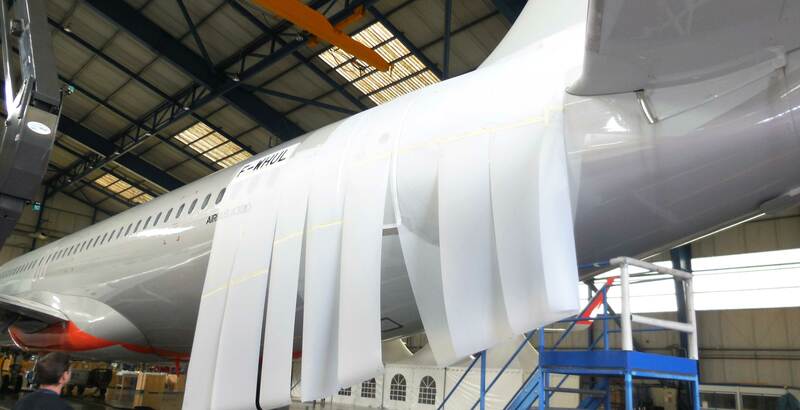 Painting an Aircraft is most of the time the preferred solution for long lasting decoration. Applying a painting process requires specific preparation, competences and a paint hangar. An adhesive solution for decoration is a good alternative for complex liveries of shorter duration decorations. Applying an adhesive decoration does not require a paint shop when the background is already painted. Each solution as its pros and cons so please do not hesitate to validate your choice with our specialists! Certification under EASA or GCAA delegation (customer local authority can be handled too). On numerous Airbus, Boeing or ATR Aircraft (CS23 and CS25 Aircraft types are covered) for commercial and private jet. All minor changes are certified by PMV Groupe under EASA delegation. We also holds a GCAA approval and can manage customer’s local approval too.